These surface mount 90 degree hybrid couplers are laminated multi-layer structures designed for mounting on top of the PC board. This technology utilizes plated through via holes underneath the coupler to transfer the heat and establish ground when soldered to the PC Board. The RF connections are on the four corners and they are connected by soldering them to the RF Traces on the PC Board. RoHS Compliant devices and tape and reel are available. Our Surface Mount 90 Degree Hybrid Coupler Line offer low insertion loss, low VSWR and high power capability in a small package. 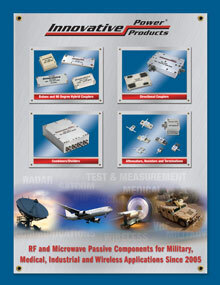 These products are available in narrow and broadband bandwidths making them ideal for power amplifiers, power combiners/dividers, modulators antenna feeds, attenuators, switches, and phase shifter applications. Frequency Range is from 30 MHz to 12,000 MHz in power levels up to 300 Watts.